Vancouver Daze, Volume 42: Crème de la Crème's Grand Wedding Showcase VIP evening soirée at Four Seasons Hotel Vancouver on November 5, 2011. Published in Vancouver Is Awesome. On the eve of this premiere wedding show, I randomly crashed an exclusive reception preview with celebrity designer Preston Bailey (Oprah). 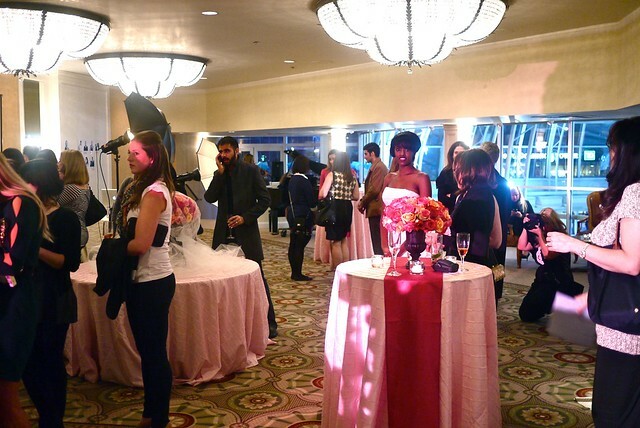 Between cocktails & canapés, we previewed some of the elegance and grace from the show with some beautiful samples. 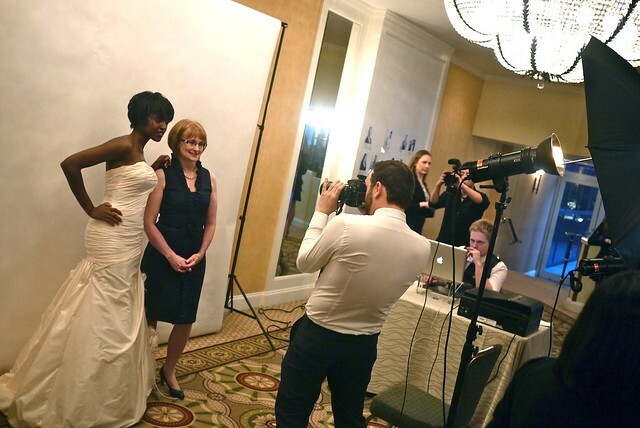 I was certainly out of my element among the older, more professional crowd of women. 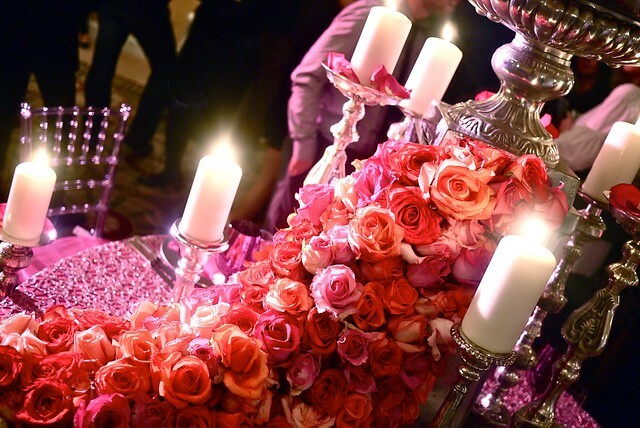 Some of the floral arrangements were breathtaking, highlighting the classy atmosphere. 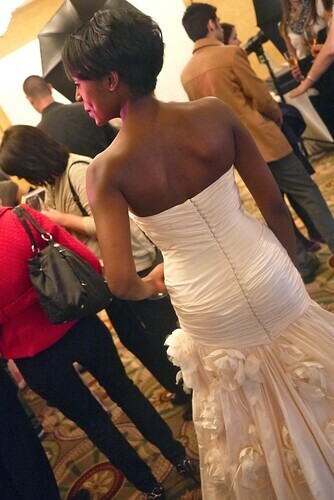 I thought this particular dark-skinned model in a lush, strapless wedding gown was absolutely stunning and gorgeous. 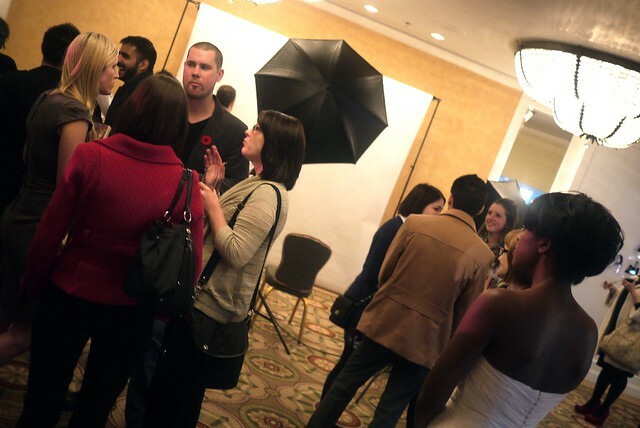 The snappy affair was mostly a preview showcase for the luscious wedding showcase on Sunday. 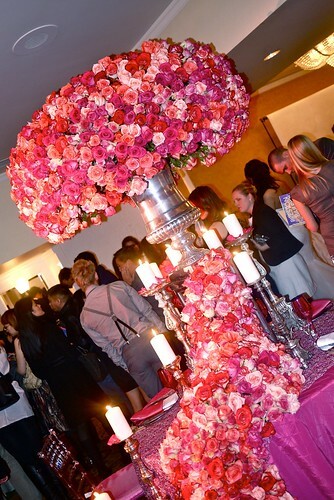 The reception certainly showed the luxe bridal show's penchant for catering to discerning brides with exquisite style.